The independent Republic of South Sudan emerged Saturday from the ravages of half a century of war, deprivation, destruction, and displacement. Its freedom was guaranteed overwhelmingly by a self-determination held last January, and, today, it is impossible to resist the celebratory urges evident in Juba, the new capital. But this birth occurs against an exceedingly grim backdrop that suggests resumed war between Sudan and, now, South Sudan is much closer than diplomats and analysts have allowed themselves to say, or perhaps even think. The threats of conflict in the border regions of Abyei and South Kordofan are acute and growing more so by the day; Khartoum also continues to bomb civilian targets in the northern part of Unity State (which is in the new South Sudan) and supports deadly renegade militias. Indeed, war has steadily become more likely than peace. Having hoped and worked for more than twelve years to help bring a just peace to Sudan, I find only bitterness in offering this warning, but the actions and statements by Khartoum require a hard-headed assessment that seems beyond U.S. special envoy Princeton Lyman, U.N. Secretary General Ban Ki-moon and his key under-secretaries, the African Union’s Thabo Mbeki, and the leaders of nearly all European countries. Why such a bleak outlook? Let’s attend to three key threats to peace. Abyei. 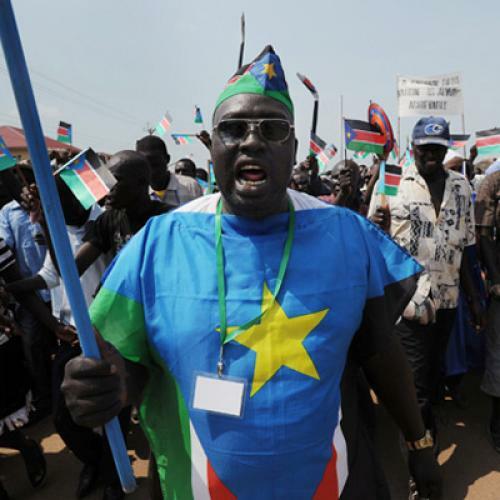 This region has long been promised its own referendum to determine whether it will be part of Sudan or South Sudan, but it has yet to take place, largely because of disagreements over who should be allowed to vote: only the native Ngok Dinka, or also the migrating Misseriya. The North’s military seized Abyei in May, but the “Temporary Arrangements for the Administration and Security of Abyei Area,” signed by Khartoum and Juba on June 16, seemed to give some breathing space to negotiations over this contested region. Both sides agreed to an Ethiopian “interim security force for Abyei,” and the U.N. Security Council authorized this measure on June 27. The ambitious schedule outlined in the agreement would have us believe that, on June 28, an “advance party” of Ethiopian forces would deploy; that, by June 30, the “rules of engagement” and “status of forces agreement” (or, defining the rights and responsibilities of the Ethiopian force) would be settled; that, by July 2, a second advance party would deploy; and that, by July 6, the “main body” would be sent to the region. But it is the height of the rainy season in Sudan, and deployment of an armored brigade of thousands of soldiers is a logistical nightmare. Khartoum is also prepared to create any number of bureaucratic obstacles to sending the troops into Abeyi. So is anyone surprised that no significant deployment has yet occurred? The Ethiopians will eventually arrive, and they are good soldiers. But they won’t have a human rights mandate or clear rules for how they should engage Khartoum’s Arab militia allies. These gaps in their mission are critical, since there can be little doubt that, even if Khartoum’s regular forces withdraw to advantageous positions outside Abyei, their proxies—perhaps claiming to be indigenous residents of the region—will remain. Certainly, the more than 110,000 Ngok Dinka who fled in May will not feel secure enough to return. And how long will the Ethiopians stay? There was grumbling within the Security Council about the cost of this mission and suggestions that it be made smaller (it is, after all, the third very costly peacekeeping operation currently in Sudan). Sooner or later—and I believe sooner—the U.N. will not renew the six-month mandate of this “interim security force,” and there will be nothing left to prevent Khartoum from seizing the region again. South Kordofan. Violence continues to accelerate in South Kordofan, which is on the border between the North and South. It is directed overwhelmingly against the African Nuba people, particularly in the Nuba Mountains. The humanitarian situation has become catastrophic, as aerial attacks by bombers, helicopter gunships, and military jets have made re-supply of necessities impossible and compelled almost all relief organizations to withdraw. In addition to preventing relief efforts, these assaults are intended to disrupt the current agricultural cycle (it is the key moment in the planting and tending season). It’s clear the North’s intention is to starve the Nuba and the northern arm of the Sudan People’s Liberation Army (which fought with the South during the civil war). At the same time, heavy arms are pouring into Kadugli and Dilling, the two major towns controlled by Khartoum’s military. These include tanks, artillery, APCs, “technicals,” and 40-barrel rocket launchers, fearsome weapons capable of shredding an entire village in a matter of seconds. What does this mean for South Sudan? Al Bashir’s actions ensure not only that his regime’s brutal counterinsurgency will continue in South Kordofan, but also that Juba will feel enormous pressure after independence to assist their brothers in arms, the SPLA/North. The same will be true if fighting breaks out in the Blue Nile region, which is a growing possibility. Vital or not, Khartoum has adamantly rejected any U.N. presence in the north after June 9. And, given the military threats already made against the U.N. mission, it’s likely there will be little debate at the U.N. Department of Peacekeeping Operations about what to do: All personnel who haven’t been pulled out already will be shortly. Southern renegade militias supported by Khartoum. In addition to direct military threats from Khartoum, South Sudan faces armed opposition from within. There are some six or seven significant renegade militia groups, the most dangerous of them headed by George Athor (a former SPLA general) and Peter Gadet (who changed sides constantly during and after Sudan’s long civil war). These two men and their ruthless forces pose perhaps the greatest security threat to the South, and they are backed by Khartoum. (The regime also supported these sorts of militias in Darfur.) These forces have one purpose: to destabilize and demoralize the civilian population in South Sudan. There is no easy solution to this threat, but it must be considered by any who hope to understand what’s in store for the world’s newest nation.